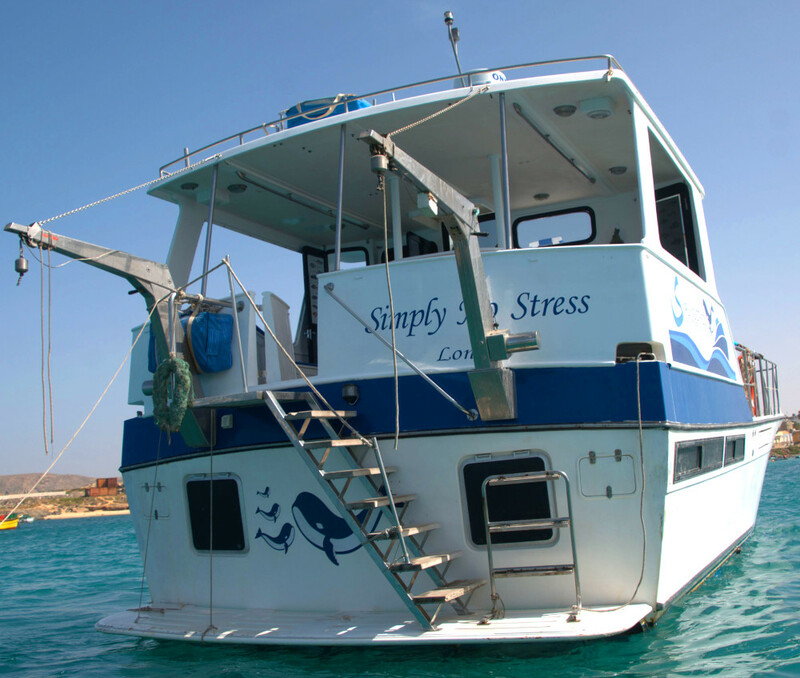 our yacht "Simply No Stress" - seaadventuresboavistas Webseite! 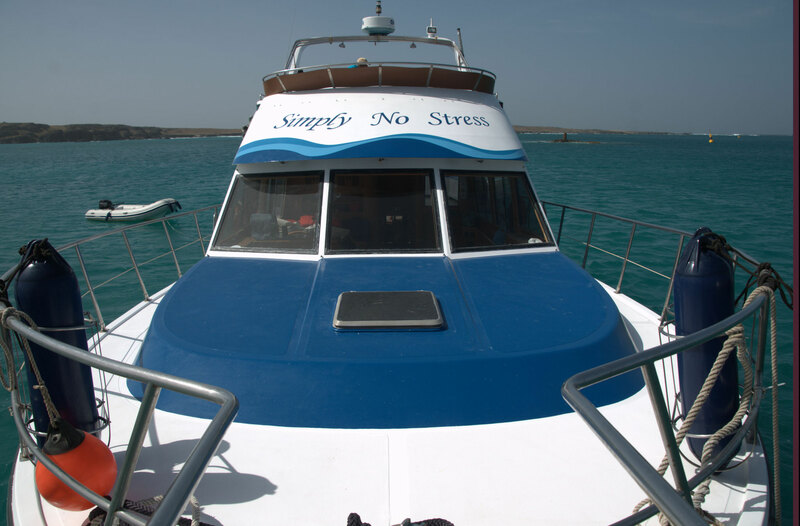 our yacht "Simply No Stress"
come on board our comfortable yacht "Simply No Stress" and enjoy the ocean. the yacht was build for a spanish casino owner 1990 in the "american" style. 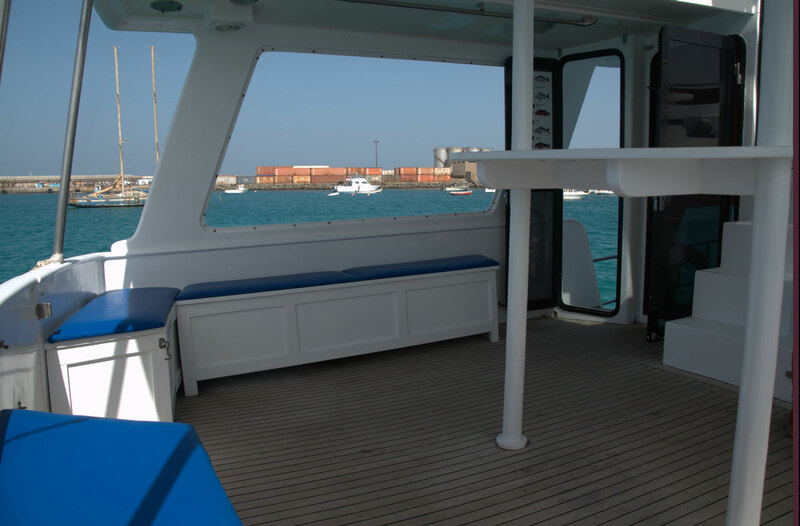 after we bought that yacht 2015 Frank cross the atlantic ocean with her from south Spain via Gibraltar, the african coast, island Lanzarote direct to the island Boavista. It takes him 15 days on the wide blue ocean that he will never forget. 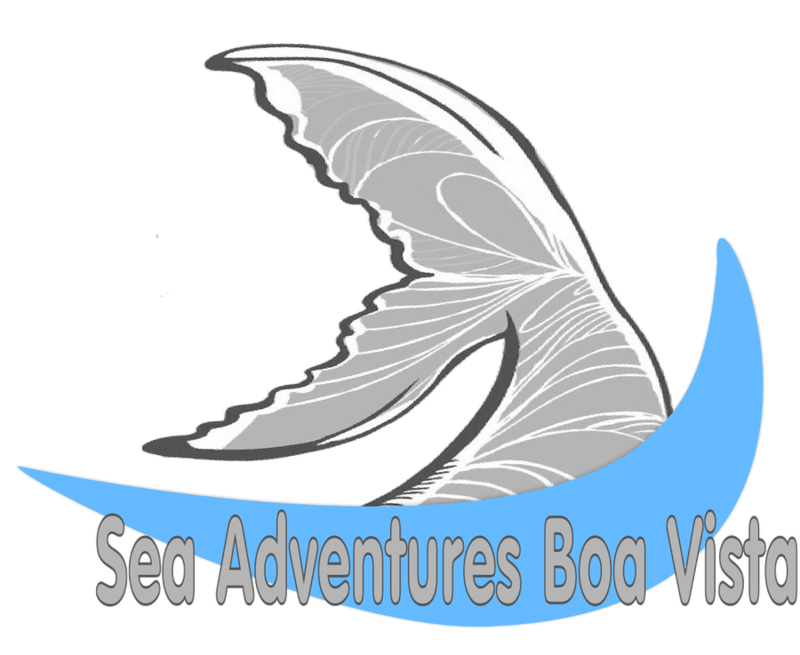 after arriving on Boavista we give our "Lady" a fresh design. 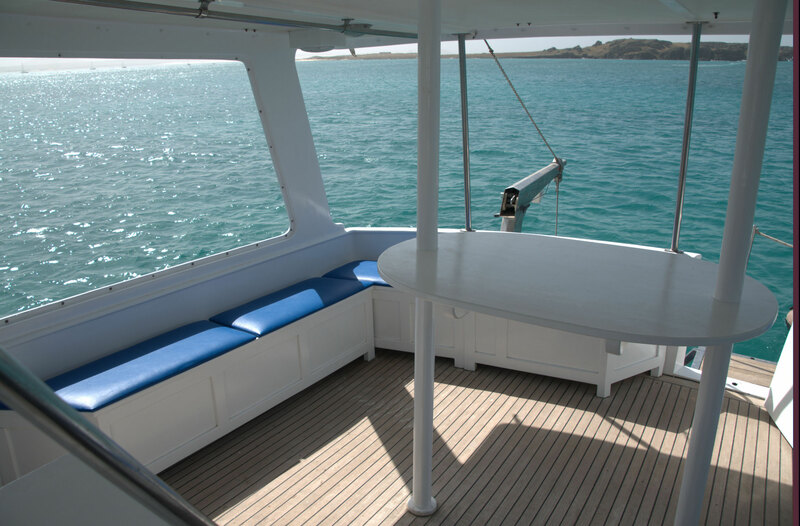 now you have comfortable padded places on the top at the large sun deck and the flybridge with a table. 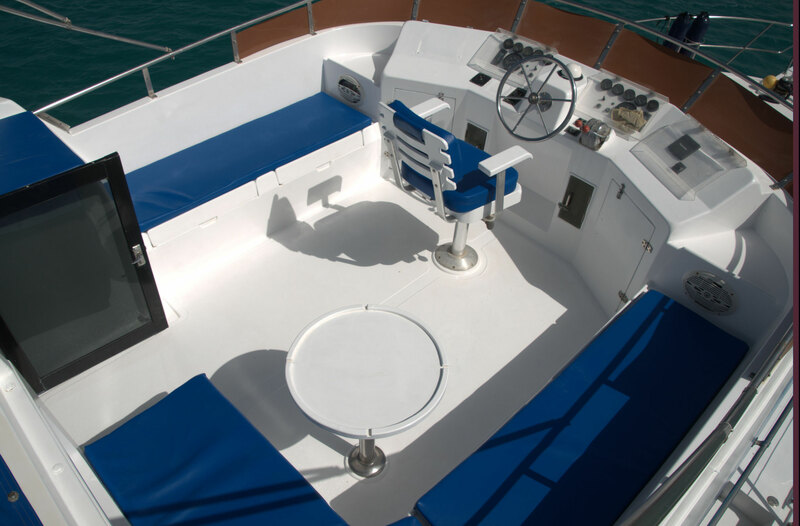 also the afterdeck has padded benches and a table. we have places in the sun and in the shadow. 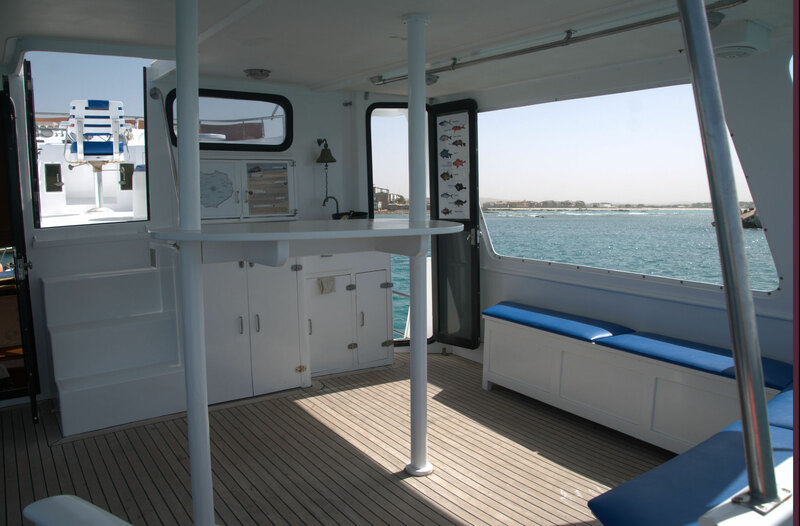 the yacht has 2 x 375 hp Caterpillar engines and is equipped with all safty features. she has a length of approx 15 m and is 5 m in width and comes with an electric toilet. we are aloud to take 20 guests and our crew contains of minimum 3 people. 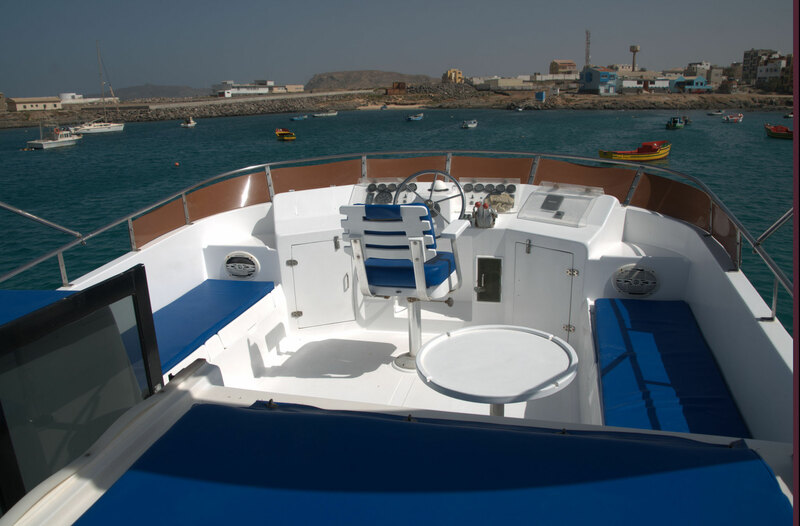 come on board our speedboat "Kiaro". she is a Bayliner 195 Capri LX, Mercury engine with 220 hp. she is comfortable padded and equipped with a bathing plattform. 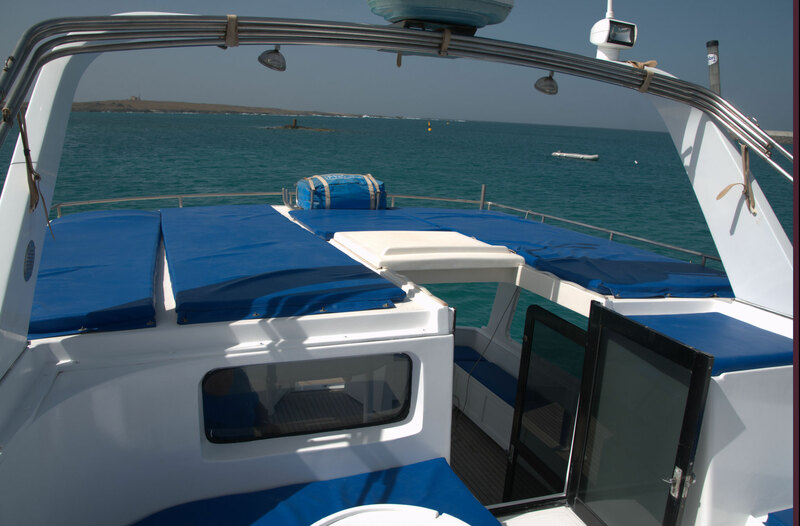 she gives comfortable place for 4 people and come with a crew of 2. maximum speed 30 knots.